Purchase as many misters as you need to accompany your 1 oz bottles of our flower essence formulas for cats. We'll insert them for you! Add as many misters as needed on the check out page. If you only need them for certain formulas use the COMMENTS area on the order form to give us specific instructions, for example: you may only want a mister with one or two flower essences, just give us the formula names and we'll do the rest! Misters are not available for 4 oz bottles. 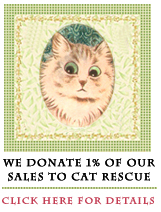 Flat Rate Shipping $8.98 – Feline Fast & Fabulous! What Products Should I Buy For My Situation? Why Do Cats Urinate Outside of Their Litter Boxes?